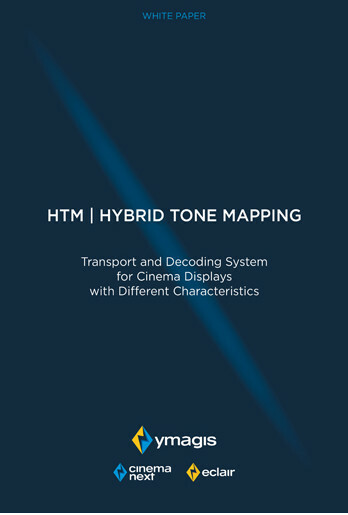 Ymagis Group and Eclair are thrilled to publish a White Paper on the new HTM (Hybrid Tone Mapping) technology, which enables the optimized storage of two or more versions – SDR (Standard Dynamic Range) and HDR (High Dynamic Range) – of a same feature film in a single SMPTE-compliant (Society of Motion Picture & Television Engineers) DCP (Digital Cinema Package). Distributors and Cinema Exhibitors can gain a great competitive advantage with HTM technology. Learn more now! MD DCPs are fully compatible with all types of projection systems and LED cinema screens. Eclair has developed the MultiDynamic Digital Cinema Package (MD DCP), a unique DCP that can transport all versions within the same SMPTE-structured DCP. The HDR/EDR/SDR versions are played from different Composition Play Lists (CPL) based on the display’s capabilities. We have also developed a color mapping tool (MultiDynamic-map, MDmap) that adapts the signal to each display’s dynamic capabilities.